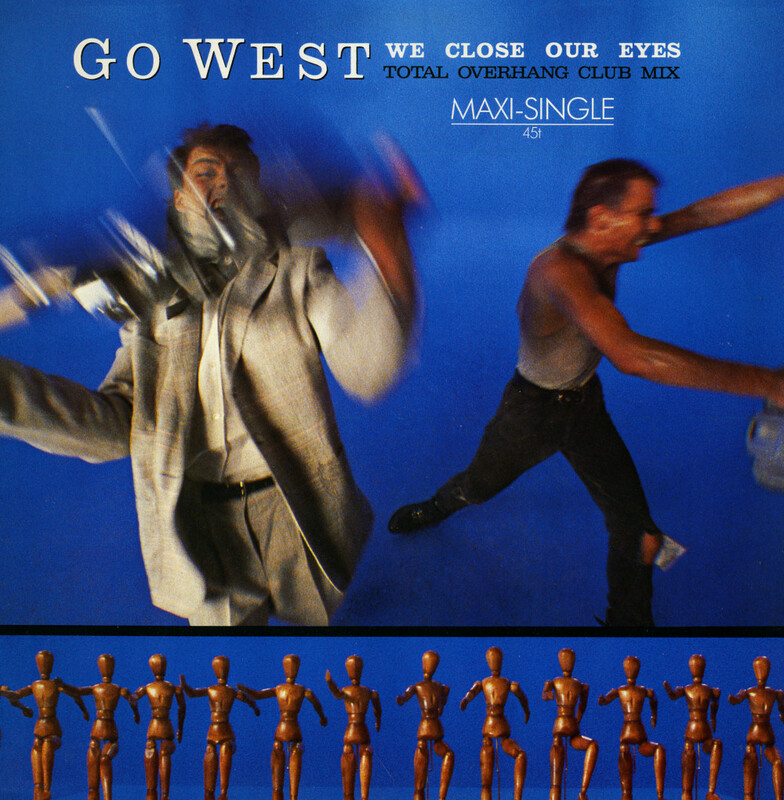 Go West's debut single was 'We close our eyes', a great rhythmic track that lends itself well to an extended remix. This 12" single does not disappoint: this six minute remix of the track delivers well in every aspect. The remix was later included on the 1985 compilation album 'Bangs & Crashes'. Thanks to those wonderful Here & Now Tours at the beginning of this century I've had the pleasure of seeing Richard Drummie and Peter Cox live a couple of times. Thankfully they were still as powerful as two decades earlier. 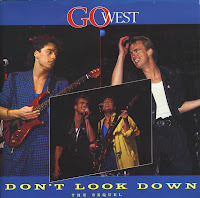 'Don't look down' was released as the last single from Go West's self-titled debut album. Housed in a gatefold sleeve, the single reached number 13 in the UK singles chart and number 10 in New Zealand. Two years later, the track became the band's first hit in the USA, where it reached number 39. I first heard the track during a live performance of Go West during a Here & Now Tour. It's a dynamic track that appealed to me right away. It may not have made a big impression on you if you've seen the movie 'Pretty woman', but Go West's 'King of wishful thinking' was featured in it. The movie has become a bit of a classic amongst movie fanatics, but Go West has not profited too much from that legacy. Still, they did get a reasonable hit out of it. The single reached number 18 in the UK singles chart and number 8 in the US Billboard Hot 100. After their debut album was very successful, with four hit singles lifted off it, Go West's second album 'Dancing on the couch' paled in comparison. The first two singles 'True colours' and 'I want to hear it from you' landed just outside the UK top 40, and the singles 'Don't look down - The sequel' and 'From Baltimore to Paris' didn't chart at all. 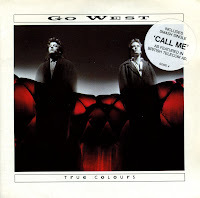 Go west released 'Call me' as their second single. It was taken from their self-titled debut album, released in 1985. 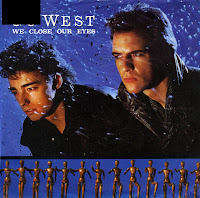 Although the single couldn't match the success of their debut single 'We close our eyes' in any territory. it still did rather well. In the UK, 'Call me' reached number 12, whereas in the US Billboard Hot 100 the single reached number 54. In New Zealand, 'Call me' reached number 2. 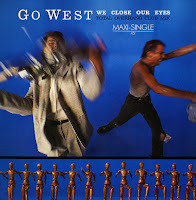 'We close our eyes' was the debut single by Go West, composed by both members Peter Cox and Richard Drummie. The accompanying music video was directed by Godley & Creme. The single spent fourteen weeks on the UK singles chart, peaking at number 5. In the Netherlands, it reached number 22. I bought the 12" single quite quickly after the release of this single, but the 7" single followed almost a decade after its original release. 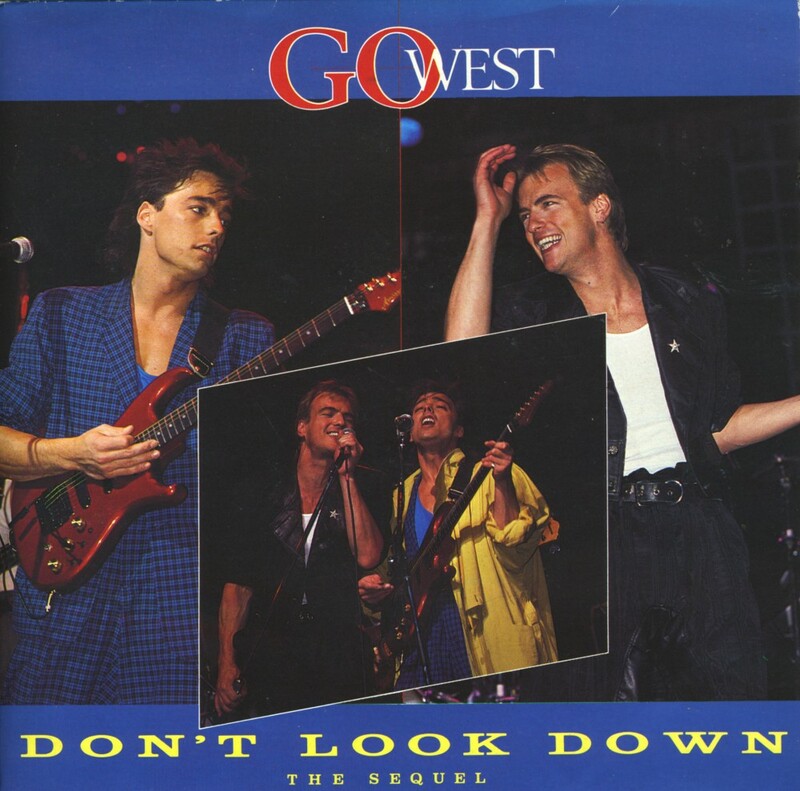 Peter Cox (born November 17, 1955) and Richard Drummie (born March 20, 1959) formed Go west in 1982. Without a recording contract, they recorded 'We close our eyes' and 'Call me' themselves, with which they managed to persuade Chrysalis Records to sign them. These two songs were subsequently released as their first two singles. Both were very successful, starting a very promising career. 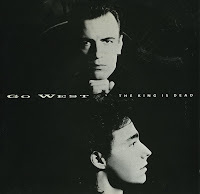 Their debut album 'Go west' (1985) featured these and three more singles. Their next album, 'Dancing on the couch' (1987) was introduced by this first single, 'True colours'. 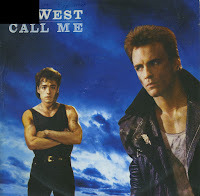 The limited edition double single featured previous single 'Call me' as a bonus. The single still only managed to peak at number 48 in the UK.